Dr. Skinner believes that true excellence in patient care can only be achieved with a strong commitment to continuing education, technology, compassion, and a good understanding of patient goals. While he has specialized in periodontics; his training, education, and experience include a wide variety of skills and procedures allowing him to provide the highest quality of patient care. The University of Iowa periodontal specialty program is quite diverse placing a heavy emphasis on current research and techniques in periodontal cosmetics, bone regenerative therapy, dental implant treatment, and traditional periodontics. While attending the University of Iowa, Dr. Skinner studied the benefits of bone grafting to preserve jaw bone following tooth extraction. Advances in bone grafting have dramatically increased the number of people who can enjoy the benefits of dental implant treatment. He also has clinical experience communicating in Spanish and French. Dr. Skinner is originally from Clear Lake, Iowa. He is married and is the father of three children. 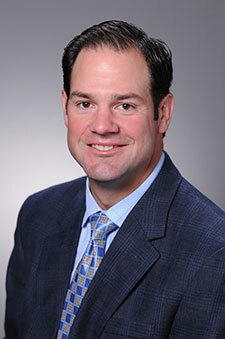 Dr. Skinner enjoys many water and outdoor activities, as well as participating in his children’s activities. He and his family are very grateful they have made Minneapolis/St. Paul their home.